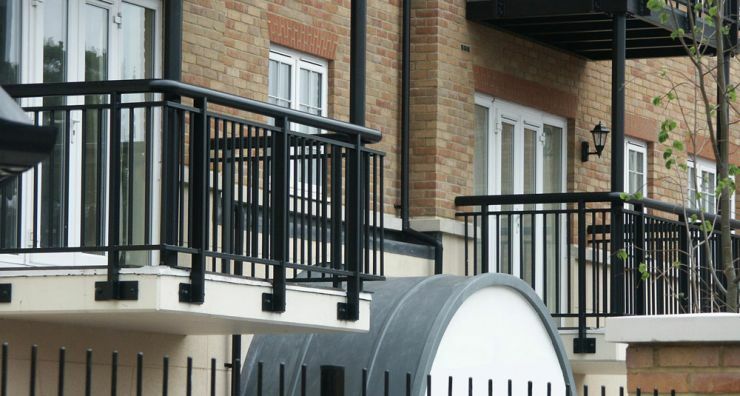 Windridge Coatings :: Who's using the Tri-Resin powder coating system on balconies and railings? The Tri-Resin System - who's using it? Architects specify the Tri-Resin™ Powder Coat System, and quality fabricators use it. There has been a subtle but significant change for the powder coating industry in the last ten years. Leading architects are showing more interest in paint systems; learning about the details instead of being led by marketing. Balconies are a prominent part of the building and railings are often within touching distance of the public so a smooth, visually excellent finish is important. Successful fabricators do not have the time for standing in front unhappy contractors who are withholding retentions because the job is going rusty within a year. Getting the job done properly first time is a must to avoid the expense of correcting a job. There is now a real incentive to seek out powder coaters who apply a reliable finish. The paint system has proved good enough to bypass galvanising - on a 200 tonne project that can save £100,000. The Tri-Resin System is being specified on drawings for swimming pools, structural steel, balconies, railings and much more. It is applied for MOD components, marine equipment and boat fittings.